People love to take photos with their iPhone and have dear memories within reach. But what if you could bring these photos to life? With the new iPhone 6s, you can do that. The brand new Live Photos camera feature allows you to turn instants frozen in time into vivid unforgettable memories. Sounds incredible, right? So what is a Live Photo and how does it works? It’s quite simple. A Live Photo is a wonderful 12-megapixel photo, a combination of up to 3 second .mov file and a still .jpg file. So what you capture with Live Photo is a photo with movement and sound, together with moments right before and after it was taken. Open the Camera App on your iPhone. Tap the Live Photos icon right in the center-top of the screen. When Live Photos is on, the icon, which looks like a set of concentric circles, will turn yellow. The word “Live”, also highlighted in yellow, will appear at the top of the screen. The Camera is already recording a video. For a Live Photo, tap the shutter button. 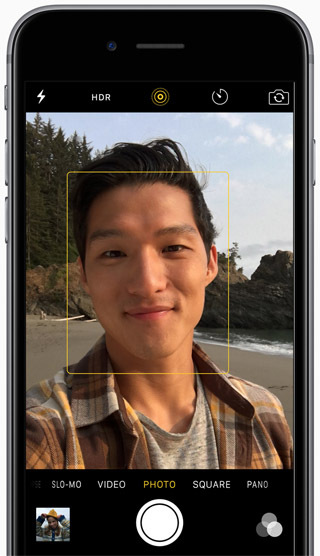 Your iPhone now has 1.5 seconds of footage leading up to the button press, along with 1.5 seconds following the photo capture. Your Live Photo is ready to be cherished and shared. The new Live Photo feature is widely considered an evolutionary step in mobile photography, so you don’t want to miss the chance to try it out. We hope you enjoyed this tutorial on how to take Live Photos on iPhone 6s. For more of these, don’t forget to check out our website page.